Toast the day's end with a glass of champagne as West Maui's dramatic shoreline is bathed in a pallet of spectacular colors. 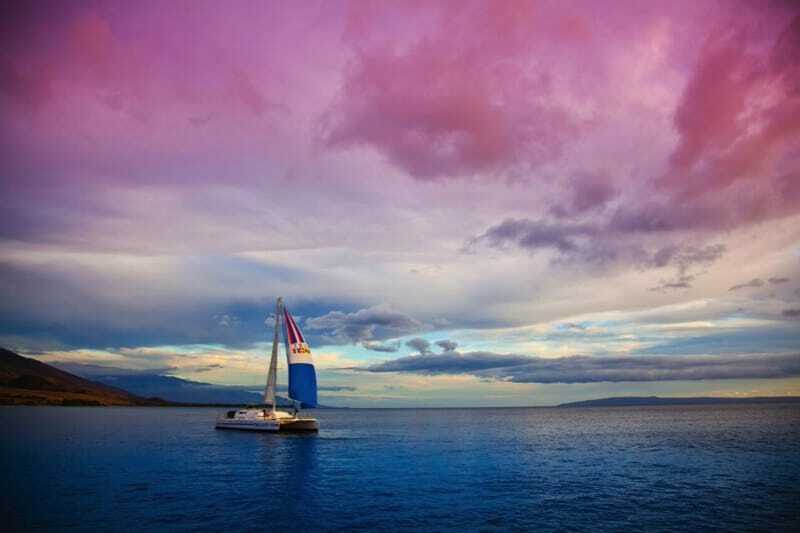 Be our guest on this special tour and experience Maui at her finest. This two-hour cruise provides an open, premium bar. Sail departs every Monday, Wednesday, Friday, and Sunday. This is an adults only excursion. Custom built, one of a kind, luxury sailing catamaran. 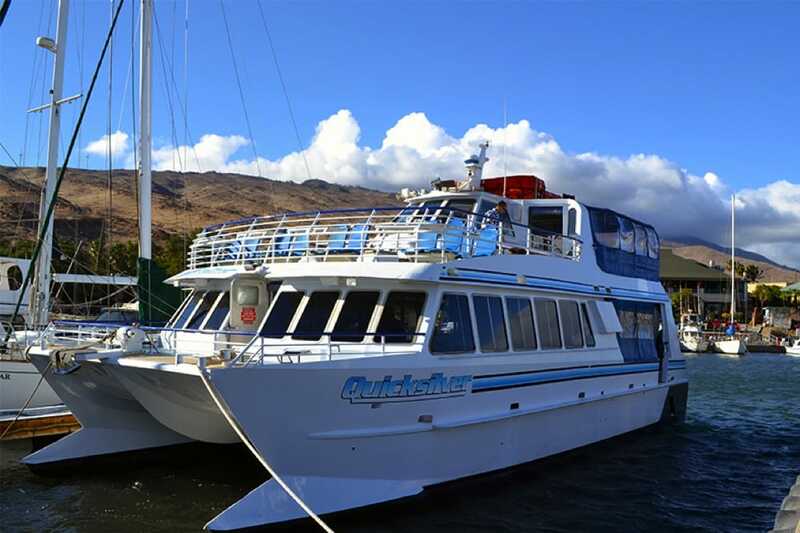 Measuring an impressive 65' from stem to stern and 36' port to starboard, it is truly the premier sailing catamaran on Maui. We have a reputation for providing the ultimate in service and amenities. We also limit the number of passengers to provide plenty of room to relax and enjoy. Our covered cabin is equipped with ample seating and 8 tables. For your comfort, there are two oversized restrooms on board as well. We are under sail whenever possible (depending on winds). Leave the driving to us! Experience the comfort and ease of our transportation service available from most south and west side resort areas. Our comfortable vans will pick up and return you to your hotel or condo in style. Complimentary based on space available. First class in the boat, crew, food, drinks and overall friendly and comfortable. We loved it, very romantic and easy.